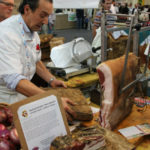 This flat pancetta can reach an enormous size, with the sides measuring as much as 50 centimeters, sometimes even up to 80. 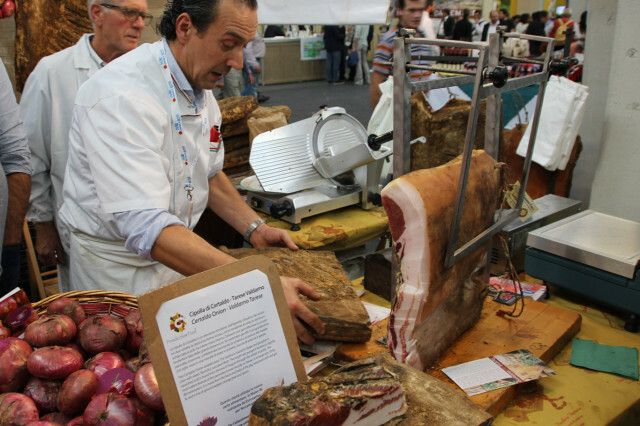 This flat pancetta can reach an enormous size, with the sides measuring as much as 50 centimeters, sometimes even up to 80. 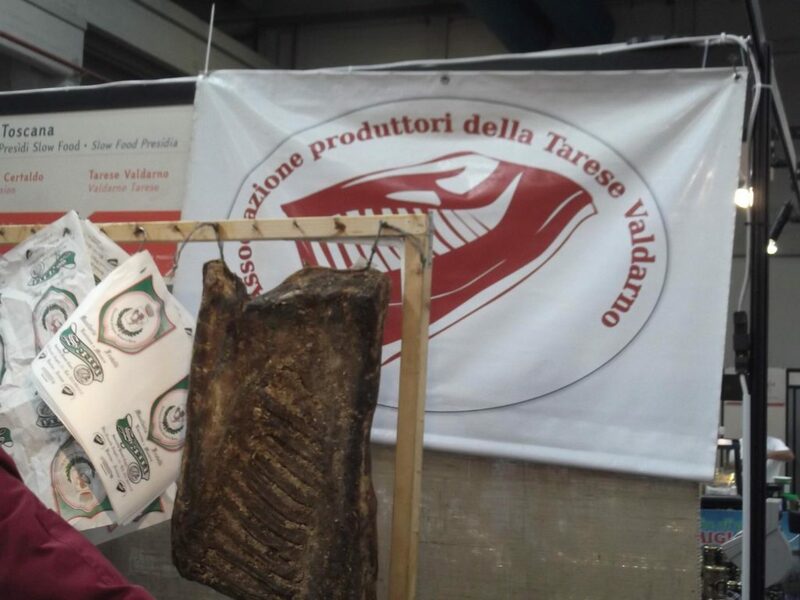 Valdarno Tarese is made from the back, belly and part of the prized chine (separated from the thigh and the front trunk) of heavy pigs, which used to weigh as much as 200 kilos. 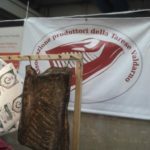 The result has a pronounced, persistent flavor, though it is more subtle and delicate than other cured meats made in a similar way.